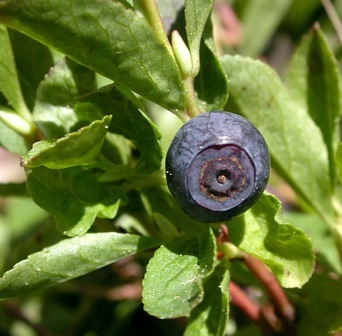 Dwarf blueberry is another of the several blueberries found growing in North America. It is found across Canada and in the northern half of the United States. It is a low-lying plant rarely reaching half a meter in height forming a carpetlike stand in rocky mountainous meadows. The foliage is reddish-green to green and the leaves are shiny on dorsal as well as the ventral sides. The leaves are also finely serrated. Flowers are tiny urn-shaped light pink cups less than a centimeter wide. 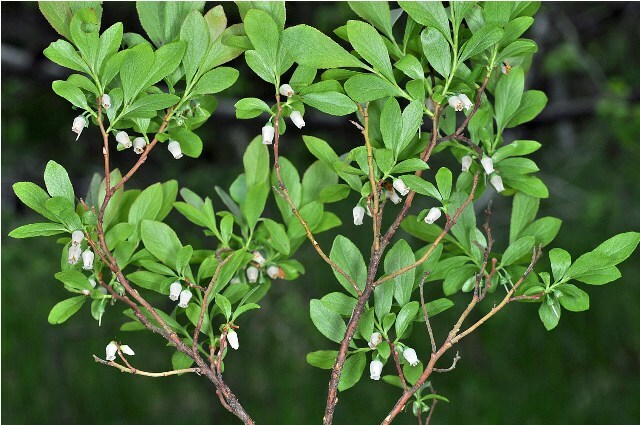 The fruits are edible and can be used like those of other blueberries.